The story of Sheryl and Jordan, a couple in their early 30s, that have been together for 3 years. They both felt like their next step as a couple was to get married but he was having hard time committing, and because they were not getting along very well in the past few months, it scared him even more to get married and commit. They were stuck in a gridlock cycle, and what helped them out of it, was mapping their cycle, understanding it better, and learning how to act in a way that would be nourishing to the other, rather than triggering. She would pursue by becoming controlling, demanding and critical of him. He would distance her, by closing up emotionally, over justifying himself, and simply going away. Underneath that, she wanted to feel safe by feeling connected to him. He wanted to go for what makes him come alive without feeling guilty for it. After understanding that, he made sure to show her that she is his number one person. And she made sure to show him she trusted him and wanted to support his freedom and individuality. The tool of identifying your triggers and what you actually need to feel good and come back to a regulated state. The Research of Dr. Sue Johnson, the leading developer of EFT, Emotionally Focused Couples Therapy, and a research professor at Alliant University in San Diego, California. Her research studies find that 70-75% of couples move from distress to recovery and approximately 90% show significant improvements. 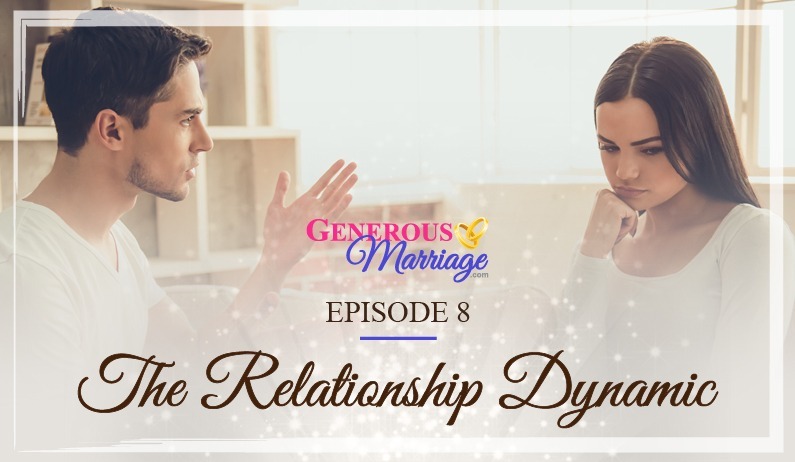 We prepared a worksheet to help you identify your triggers and your underlying feelings and needs, that can help you understand better the dynamic you engage in with your partner and how you could transform it to a positive cycle of care, nourishment and generosity.